GWR Hall class 4-6-0, 4965 Rood Ashton Hall, with a Vintage Trains excursion from Birmingham to Worcester and Stratford. GWR 0-6-0 pannier tank no 9600 on its last main-line trip (before fitting of TPWS became mandatory) from Birmingham to Stratford and Leamington Spa. LMS Princess Coronation class 4-6-2, 6233 Duchess of Sutherland, with the VSOE Northern Belle Pullmans. 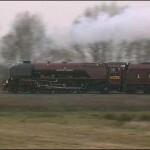 LMS Princess Royal class 4-6-2, 6201 Princess Elizabeth, with a Friday evening train from Euston to Liverpool. 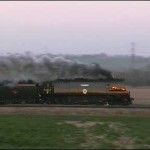 LNER A3 class 4-6-2, 4472 Flying Scotsman with the VSOE Pullman trains to Worcester and Bath. LNER A4 class 4-6-2, 60009 Union of South Africa with The Chandlers Ford Phoenix and a Cathedrals Express to Worcester. 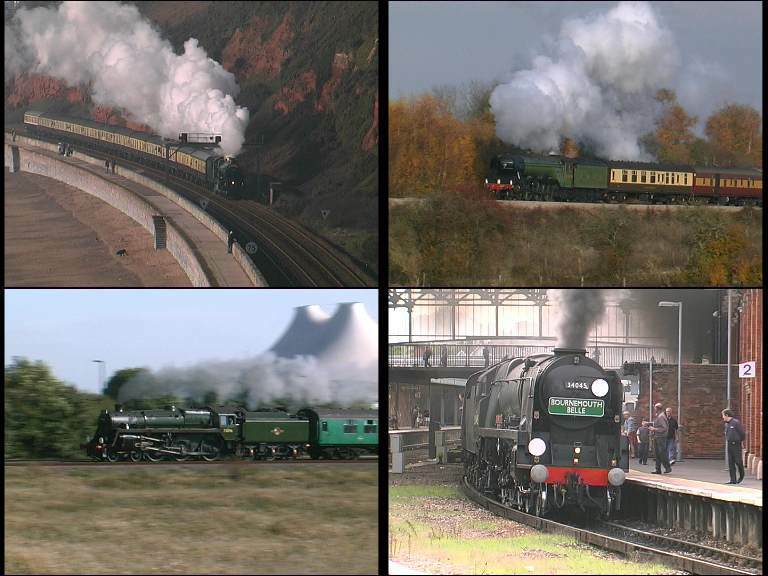 SR Battle of Britain class 4-6-2, 34067 Tangmere with the Excalibur Express from Derby to London, The Atlantic Coast Express from London to Exeter and Oakhampton, The Royal Wessex from Wareham to Waterloo, and a Christmas special from London to Salisbury and Southampton. SR West Country class 4-6-2, 34027 Taw Valley (running as 34045 Ottery St Mary) with VSOE Pullman excursions to Worcester and Bournemouth. 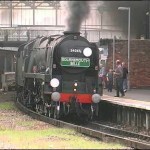 SR West Country class 4-6-2, 34016 Bodmin with a Cathedrals Express train to Bath and Bristol. 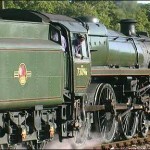 BR Standard Class 4 2-6-0, 76079 with two tours in the West Country: The Mendip Branch Explorer and The Avon Branch Explorer. BR Standard Class 5 4-6-0, 73096 with various Daylight Limited and Cathedrals Express trains… Definitely the most consistently impressive and reliable performer of 2003.